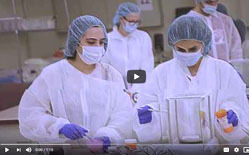 NSU College of Pharmacy, with its ground-breaking initiatives and visionary curricula, educates future pharmacists to help people live healthier, better lives. 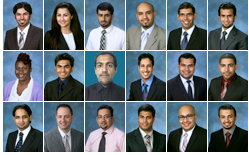 An internationally known leader in pharmacy education and research, graduating students with Ph.D., Pharm.D., and M.S. degrees. 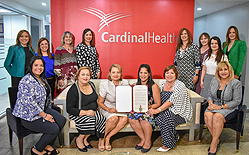 The only program in the U.S. to operate a full-service community pharmacy and institutional pharmacy. 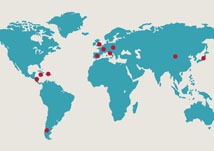 Over 4,500 alumni worldwide, many of whom are leaders within the profession. 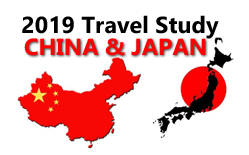 The largest and most requested travel study program of any college of pharmacy. Diverse faculty and student body, ranking 1st for Hispanic and 14th for African-American students earning the Pharm.D. degree. A Ph.D. program with world-class researchers in the pharmaceutical sciences, and sociobehavioral and administrative pharmacy. Pharm.D. students can pursue a concurrent master's degree in business administration, public health, or biomedical informatics. 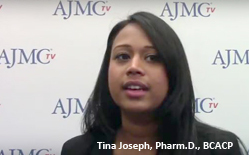 Themed continuing education provided for more than 20,000 pharmacists worldwide. A holistic approach, represented by the Medicinal and Healing Garden and its therapeutically stone-studded pathway. Graduates rank high in securing fellowships and residencies. Experienced professionals, researchers, and students work side-by-side in doctoral and masters programs. Earn the Doctor of Pharmacy degree in a 4-year Entry Level Program or in an Advanced Standing Program for international pharmacy graduates. The doctor of philosophy (Ph.D) degree complements the professional program and opens doors for new professors and innovative research. Earn the M.S. in Pharmaceutical Affairs or M.S. 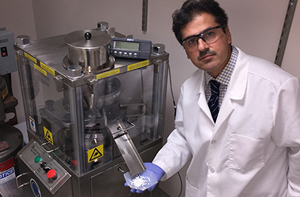 in Pharmaceutical Sciences degree in a two-year graduate program. 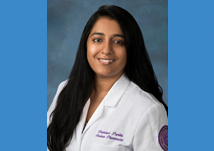 This program will also act as a bridge for students interested in pursuing a Pharm.D. or Ph.D. degree. Our students support one another, from orientation to graduation and beyond. Discover the NSU difference, with degree programs in multiple locations, strong history, and international prestige. Access online services for Pharmacy students, your campus calendar, and university-wide resources. The Dean’s Ambassador Program develops students’ professionalism through training and mentoring in leadership, networking, presentation and teamwork, and it prepares them as future role models in healthcare. 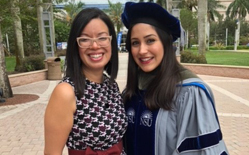 With nearly 5,000 alumni representing more than 35 countries, graduates of the College of Pharmacy have a global presence and are leaders in the profession. 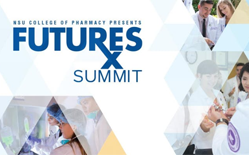 Connect with colleagues and friends, and advance the educational goals of the College of Pharmacy. 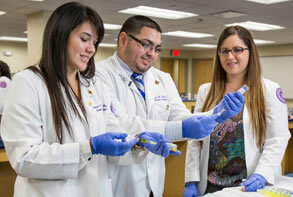 Gain inspiration from the many NSU College of Pharmacy alumni making a difference. New job or new address? Share your news and update your contact information quickly, because we want you to stay connected. 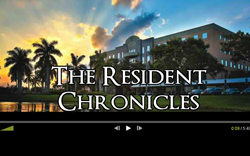 Professionals appreciate NSU's superb ability to meet their needs in convenient online and on campus formats. Continuing Education serves thousands of professionals worldwide who seek the most current information and required CE credits. 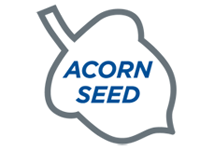 Browse and register for courses and events offered in Continuing Education. Discounts and shuttle services make your visit to Florida feel like a breeze. 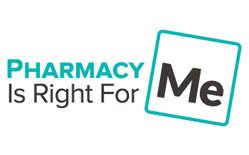 YouTube Channel Promotes the Pharmacy Profession Pharmacy is Right for Me is a national effort to promote the field of pharmacy. Check it out! 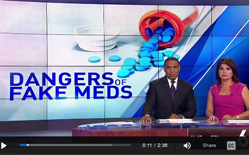 Critics Question Program That Could Produce Cheaper Prescription Drugs Goar Alvarez, Pharm.D.,C.Ph. 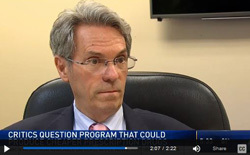 interviewed on NBC6 News Channel. NSU APhA-ASP PharmFlix Submission Nominated in Two Award Categories NSU APhA-ASP PharmFlix Submission nominated in two categories: "Most Inspirational" and "Best Overall". 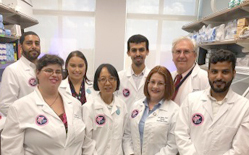 COP hosts "A Day For the Next Generation of Pharmacists" The COP Palm Beach Regional Campus host a day of mini-lectures in core pharmacy pillars as well as interactive activities. 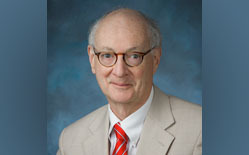 COP Faculty Honored with a Prestigious Award Albert I Wertheimer, Ph.D., M.B.A., B.S.Pharm., is the 2019 ASHP Board of Directors’ Donald E. Francke Medalist. 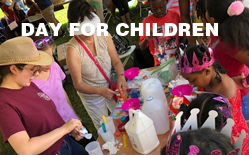 Medical Outreach Opportunity NSU COP is offering an international medical outreach opportunity, in partnership with Jose’s Hands, in June 2019. APha Webinar with Scott Kjelson, Pharm.D. NSU COP Scott Kjelson, Pharm.D. 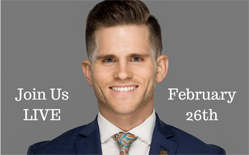 hosts APhA webinar "Your Brand - Your Profession" on Feb, 26 at 8pm. Click for more info. COP Faculty and Her Research Team Publishes Important Findings The discovery helps pediatric oncologists in choosing treatment for most common childhood cancer. Student of the Month Shaishavi Parikh is the COP Student of the Month, for the month of January, 2019. 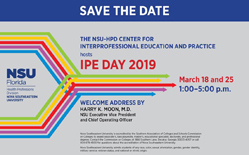 Interprofessional Education (IPE) Day COP students will participate in the 5th Annual Interprofessional Education (IPE) Day. 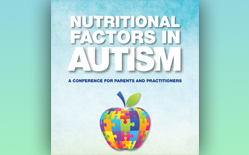 "Nutritional Factors in Autism" Conference for Parents and Practicioners NSU B.R.A.I.N. 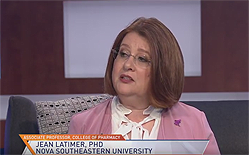 Center hosts a conference on "Nutritional Factors in Autism"
Over 100 NSU COP Students Participate in “A Day for Children” COP students and faculty bring joy and knowledge to children and their families.